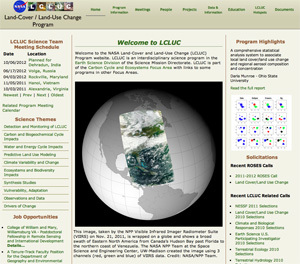 LCLUC is an interdisciplinary science program in the Earth Science Division of the Science Mission Directorate. LCLUC is part of the Carbon Cycle and Ecosystems Focus Area with links to some programs in other Focus Areas. SERVIR, a joint venture between NASA and the U.S. Agency for International Development in Washington, provides state-of-the-art, satellite-based Earth monitoring, imaging and mapping data, geospatial information, predictive models and science applications to help improve environmental decision-making among developing nations in eastern and southern Africa, the Hindu-Kush region of the Himalayas and the lower Mekong River Basin in Southeast Asia. 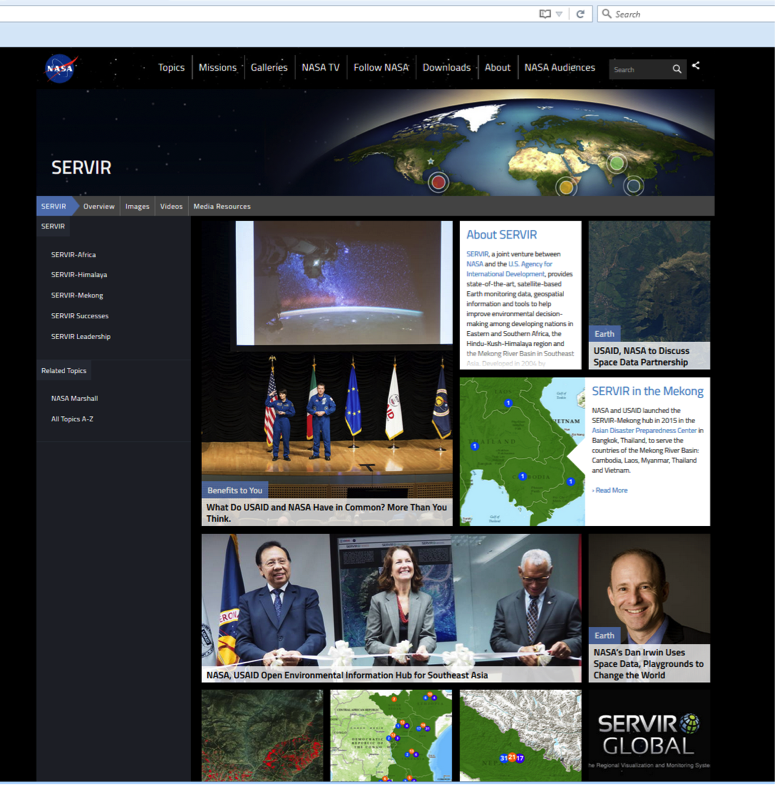 Developed in 2004 by researchers at NASA's Marshall Space Flight Center in Huntsville, Alabama, and implemented through NASA partnerships with leading regional organizations around the globe, SERVIR -- its name derived from a Spanish word meaning "to serve" -- provides critical information and support services to help national, regional and local governments, forecasters, climatologists and other researchers track environmental changes, evaluate ecological threats and rapidly respond to and assess damage from natural disasters. Read more about the SERVIR on the webpage. 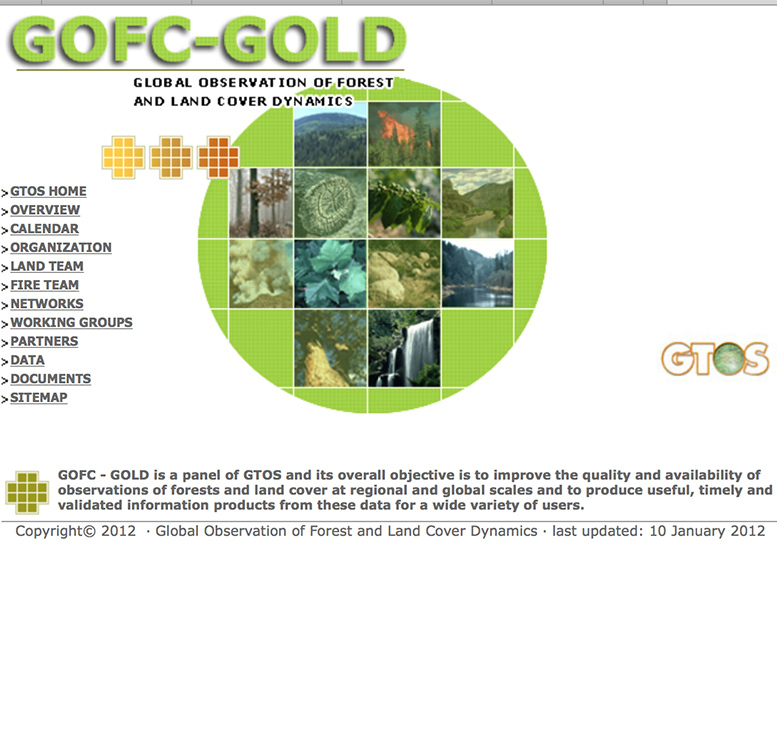 The Global Observation of Forest and Land Cover Dynamics (GOFC-GOLD) is a coordinated international effort to ensure a continuous program of space-based and in situ forest and land cover observations to better understand global change, to support international assessments and environmental treaties and to contribute to natural resources management. 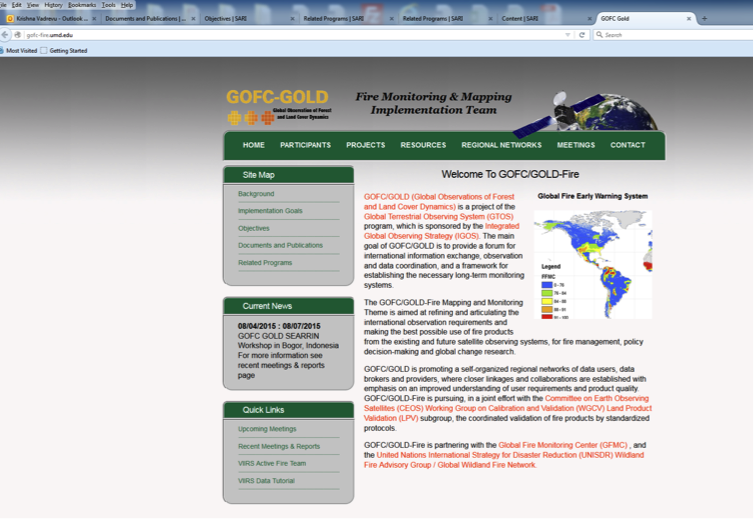 GOFC-GOLD is a panel of the Global Terrestrial Observing System (GTOS), sponsored by FAO, UNESCO, WMO, ICSU and UNEP. 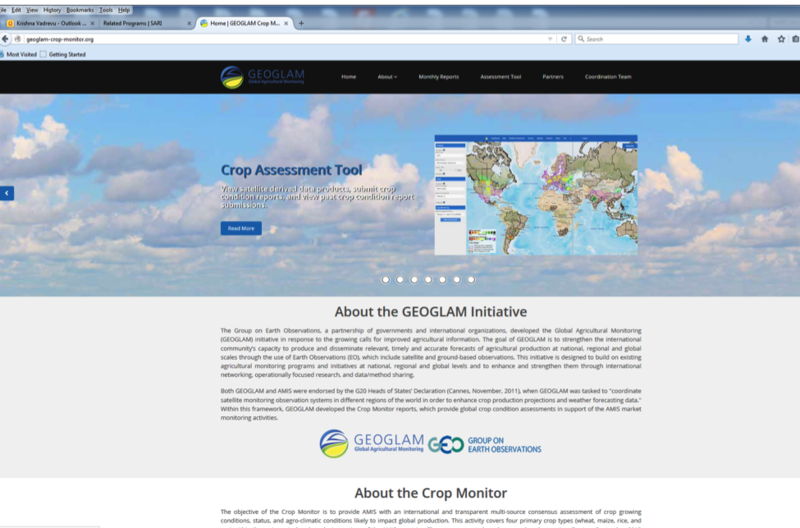 It's overall objective is to improve the quality and availability of observations of forests and land cover at regional and global scales and to produce useful, timely and validated information products from these data for a wide variety of users. The GOFC-GOLD Land Cover-Implentation Team (LC-IT) Office cooperates closely with other GOFC-GOLD implementation teams and regional networks worldwide. 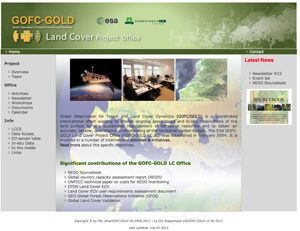 Within this framework, the Europeal Space Agency LC-IT Project Office helps to strengthen the GOFC-GOLD framework, to coordinate, promote and fulfil the GOFC Land Cover implementation plan, and to support the European Space Agency and related projects and services. The Project Office is located at the Laboratory of Geo-Information Science and Remote Sensing of the Wageningen University R, Netherlands and is funded by the European Space Agency (ESA).